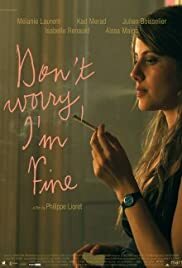 In this delightful comedy Justine (Inglourious Basterds' MÃ©lanie Laurent) flits from one boyfriend to the next while her immature father secretly befriends them all. A secret kept in the past can change everything in the present for Antoine Rey's family. Julien Boisselier ... Thomas dit "Grenouille"
Not so good. I don't put the blame on the actors, they're not bad (anyway, Laurent is probably the worst in the cast) but when you have a poor screenplay, that's the result. The characters are really stereotyped, no room for nuances; there's the nice guy, the good friend, the ignorant and racist shop owner, the psychologically fragile mother... Mind, this is nothing unbearable, but you would expect something more from a screenplay adapted from a book. The same is true for the main idea which is at the base of the story, I think it's simply not realistic. So, basically, you wait for something unexpected to happen but you're disappointed because everything is very predictable (and dull); this until the very end, when there's the big revelation with the unexpected twist, but frankly it's not realistic and unbelievable, so it's obvious you couldn't have predicted it. And don't forget Melanie Laurent: she plays the main character and she's always there, always with the same dull face. Thumbs down.